It is co-operative business advice that still stands strong. As a Wimbledon-born boy, I am excited that it is tennis time again and time again for… strawberries. One million strawberries will be eaten over the course of the two weeks at Wimbledon, all from Kent’s Hugh Lowe Farms, a member of the soft fruit co-operative, KG Growers. It is busy too across the co-operative sector, as the number of co-ops across the UK has leaped over the last year to over 6,300, with a total turnover of over £37 billion. Our annual statistical digest of the sector, The Co-operative Economy, is out today, as part of Co-operatives Fortnight. It tells the story too of other member-owned businesses, including how English mustard growers came together as a co-op, to save the provenance of Colman’s English Mustard. All this at its best is great teamwork, as with the best of the World Cup teams and with the doubles tennis we may see this fortnight. When we get it right, co-ops can be like a north bound train – focused on member needs, co-operatives have the responsiveness, support and momentum for success. Without that clarity, and faced with the challenge of restoring The Co-operative Bank back to health, The Co-operative Group has indeed faltered. While co-operatives are not immune to the stresses and strains faced by any business, the data shows that it is still an expanding sector, made up of resilient, ambitious and profitable enterprises. Strawberries and cream – some things are wonderful when they go together. It has been an awful year for the Co-operative Group. But alongside the sorry saga of conflict and confusion, it is worth remembering that the business has been a wonderful innovator for some time in one field, of ethical retail. These are what I would pick out as the five greatest hits of the Co-operative Group as an ethical retailer. 1. The pioneer of ethical certification: from Fairtade to Freedom Foods to Leaping Bunny – the Co-operative Group has helped to develop the standards for success with green and ethical products. 2. A leader in sustainability reporting – alongside international co-operatives such as VanCity Credit Union, the Co-operative Group for years won global accolades for openness and transparency. This was a form of governance and accountability that was never found wanting. 3. A carbon cutter. Working in a collaborative way with other businesses to share learning, the Co-operative Group fully deserved its reputation as a sustainability leader – with reductions in operation GHG emissions down over 40% since 2007, saving over £100m. Over the last decade, the Co-operative Group has also become one of the world’s largest purchasers of renewable energy, backing new renewable energy co-ops and the substantive policy changes in support of them that Co-operatives UK and partners have won. 4. A campaigner. The advocacy work of the Co-operative Group, with members and typically in partnership with others, is now echoed by mainstream companies such as Unilever, Aviva and IKEA. 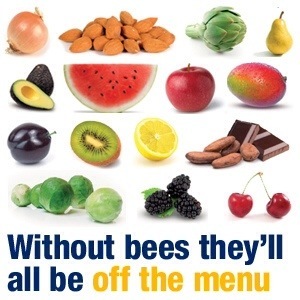 A great example was the groundbreaking work of Plan Bee in 2009, which highlighted the impact of neonic pesticides on pollinators, that in turn is now the subject of a temporary EU ban. 5. An inclusive company. One of the most underrated aspect of the Co-operative Group’s ethical work was to engage all classes in radical change. When I was comparing the health record of retailers at the National Consumer Council years ago, what stood out was that the Co-operative Group was the one who was taking healthy eating beyond the middle classes. When it was first to convert all own brand hot beverages to Fairtrade, the first to remove artificial colourings of concern and MSG from own brand products or to use free-range eggs, it did it for all stores rather than just the better off areas. Now, these will change, not just because the Co-operative itself is resetting its purpose and priorities but also because ethical demands change over time. My hope is that the focus is on the challenge of sustainable retail as a commercial opportunity and a source of innovation. Yes, sometimes, there are costs in doing the right thing, for sure, and it is right to be clear and transparent on those – but the Co-operative Group is a business and therefore while people don’t expect it to behave like Friends of the Earth or RSPB, members should expect it to be entrepreneurial and innovative in pursuing sustainable business opportunities and benefits. Looking forward, the Co-operative has remarkable untapped strengths in terms of local outlets and local community connections that have been neglected in the mimicry of the vertically integrated retail. Where, after all, is the sustainable honey? Sustainability for a retailer, in my climate-constrained world, needs to be about aspiration and innovation. The Co-operative Group has not been the only ethical pioneer in the sector either and it can learn from others. Our analysis of money flows for Lincolnshire Co-operative showed that one pound spent in a Co-op Food shop stayed for five rounds in the local economy, before the final penny stopped creating local wealth. East of England Co-op has been persistent and creative in getting to record levels of local food – fish from Lowestoft, bread from Woodbridge, pork and lamb from Bury St Edmonds, beef from Framlingham. Southern Co-operative has ensured that it is Isle of Wight milk that is sold in their stores on the island – obvious, but radically different from the big supermarkets and commercially astute. The big gathering for the co-operative sector is coming up later this month, Co-operative Congress on Saturday June 28th, in Birmingham (and we are ten days now to the start of Co-operatives Fortnight). Over two hundred people are registered for Co-operative Congress. One of the central issues I expect will be new strategies for being competitive by being not just better all round, but by being different.